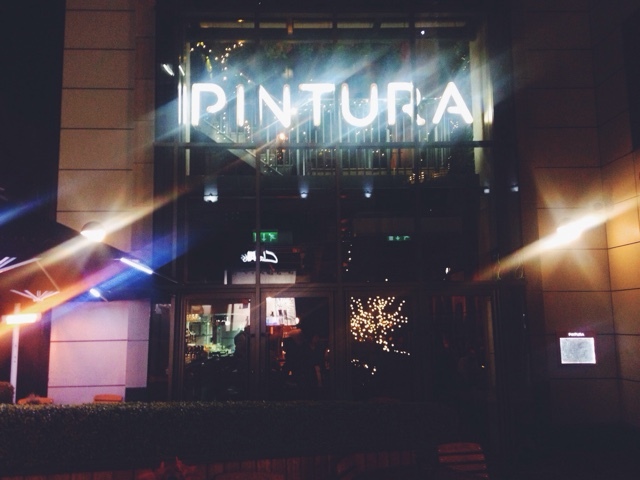 On Tuesday evening I was fortunate enough to be invited to sample Leeds restaurant Pintura's brand new Winter Blend gin and festive food menu. The Basque country inspired kitchen and bar, who's name is Spanish for 'work of art,' opened in March 2015 and was recently awarded runner-up for best restaurant in the national Observer Food Monthly Awards 2015. Walking into the sleek glass building located behind the Trinity Centre, I was immediately impressed by the warm, festive feel of the place. Woo Christmas! (It's only five weeks away - not counting or anything). We headed down into the basement gin bar, and were greeted by a nice big glass of their Winter Blend gin and tonic. 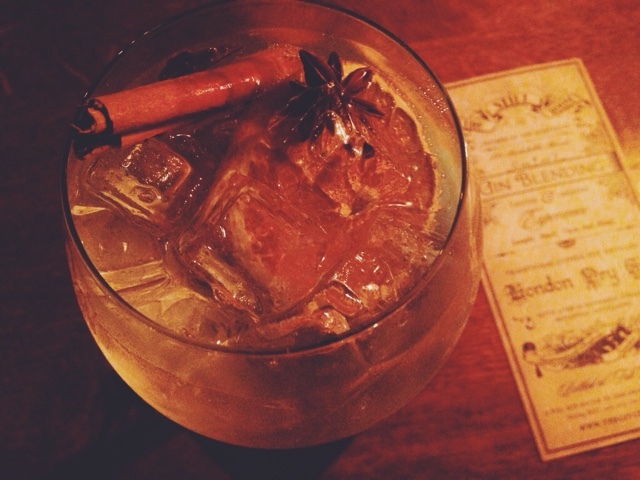 The seasonal bespoke gin, exclusive to Pintura, was created in the Ginstitute on London's Portobello Road by manager Matt Coates, who opted for a unique concoction of warm blend of spices, full of festive cinnamon and orange flavours. Before trying it, I was imagining Pumpkin Spice tones, so I was surprised by the subtle yet inherently Christmassy taste of the drink. I loved it. The Christmas food menu, which is available from November 27th, is GLORIOUS. It includes parsnip croquettes with sage alioli, turkey escalope with romesco, festive meats and cheese with slow roast turkey fillet, iberico blot, and house smoked duck, as well as calamari, and pigs in Blanket chistorra sausages with bayonne ham and pickle ketchup. To satisfy a sweet tooth, there's baked Basque style cheesecake. Super dreamy. On Monday, my friend and I boarded a train from Leeds to Hebden Bridge. The woolly green of West Yorkshire countryside floated past and then surrounded us. 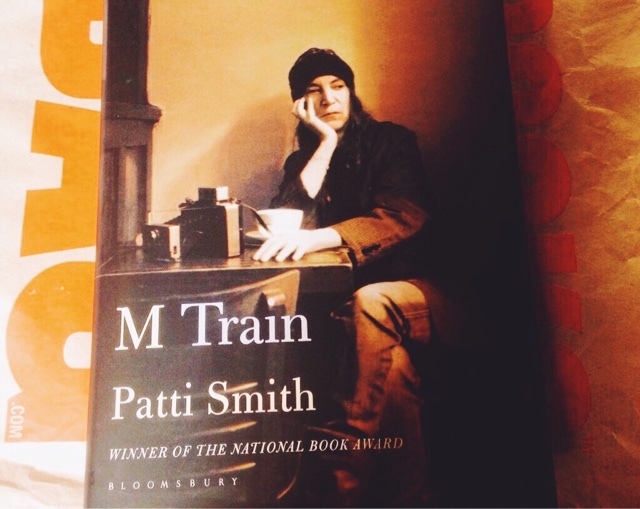 In a little independent bookshop I picked up a copy of Patti Smith's new book M Train. Over lunch, we flicked through the pages and read from a segment in which Patti makes the journey to our location to see Sylvia Plath's grave, which we had planned to do too. I'm a massive fan of Just Kids (as I mentioned in this post), and a huge fan of Patti's prose in general. She's the most beautiful wordsmith. Simply, she's had a life like no other. Yet in that moment, sipping pints and hopping on the Horse of Patti's memories, we felt a kind of kinship with our idol. It was magical. I've seen Kalyan a few times now. They're a collaborative Dub, Soul, Jazz and Rock infused Leeds music group, made up of eight musicians and two producers. They remind me a little of Fat Freddy's Drop, but sincerely they're one of the most unique bands I've seen in a long while. As well as lighting up the Leeds music scene with their own performances, they also curate their own Kalyan Presents nights at venues across the city, including Wharf Chambers and Belgrave Music Hall. Last night I caught their takeover of Headrow House as part of Beacons Metro, also featuring Portico and Boomerange Parlour, along with other bands, DJs and artists' installations. The atmosphere was electric, with devoted faces bopping their heads in a state of musical Nirvana. If you can, I'd highly recommend catching one of their shows. Listen to them here. This i-D article featuring Hugh Holland's vivid photography brought a Lords of Dogtown kind of sunshine to my week. Boys and girls with their long hair, tube socks, and knee pads, soaking up the California rays with skateboards in place of cellphones. The ultimate homage to an Americana youth forgotten. Check it out here.